When shopping for tiles, there is more to think about than just colours and patterns. While the decision of matt vs. gloss may seem as simple as personal preference, there are a few other factors to take into consideration before making a final selection. Both finishes have their advantages and disadvantages – not to mention that the overall look created will vary drastically – so it is important to take the time to choose carefully. Matt tiles are a popular selection for wet area applications as they offer more grip when wet than a highly polished finish. Matt finish tiles can also suit a traditional look and industrial stylings in a main floor application. 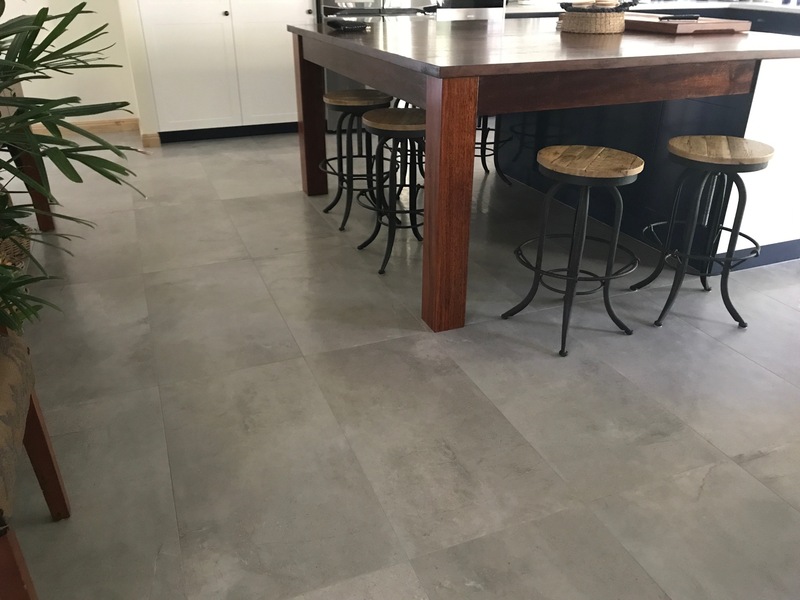 Available a wide range of styles from timber, natural stone & even concrete designs, a matt finish tile would look stunning in any application. Gloss tiles are ideal for use on walls in smaller rooms such as bathrooms and laundries. The smooth, reflective surface will help lighten up a dark room, while still being easy to wipe clean. The highly reflective surface of a gloss tile on the walls can also give the illusion of size to a smaller room like a bathroom. Bathrooms are a fantastic place to use a blend of surfaces; matt for the floor for safety and a glossy wall tile to open the space up. The two finishes work together brilliantly and will give you the benefits of both! If you are still unsure and would like some assistance in picking the correct tile for your project, visit one of our stores and our consultants will be more than happy to assist.